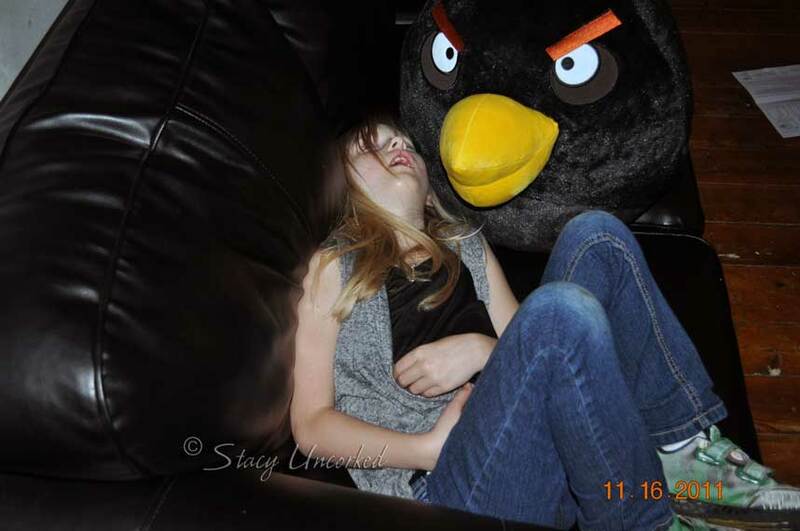 She was home sick just a couple of months into school – on her birthday week, no less – with a nasty cold and fever. Poor thing. 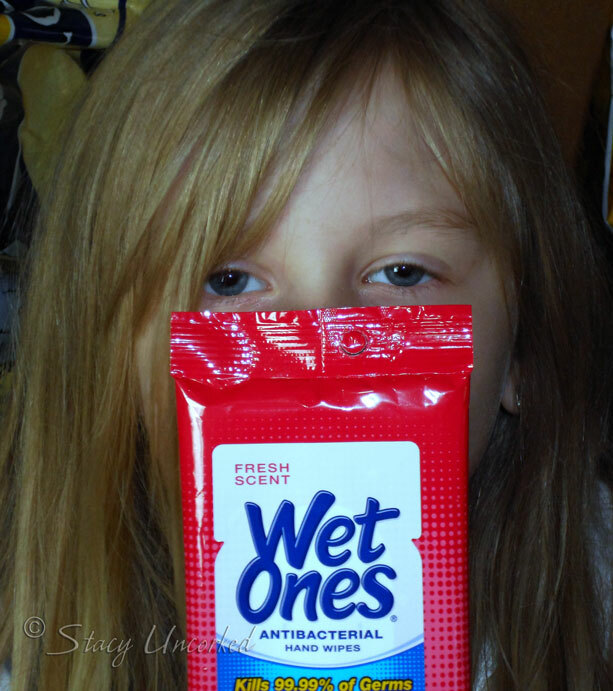 Wet Ones Antibacterial Hand Wipes to the rescue. They provide the solution for little hands that touch everything from dirt on the playground to paint brushes in art class. 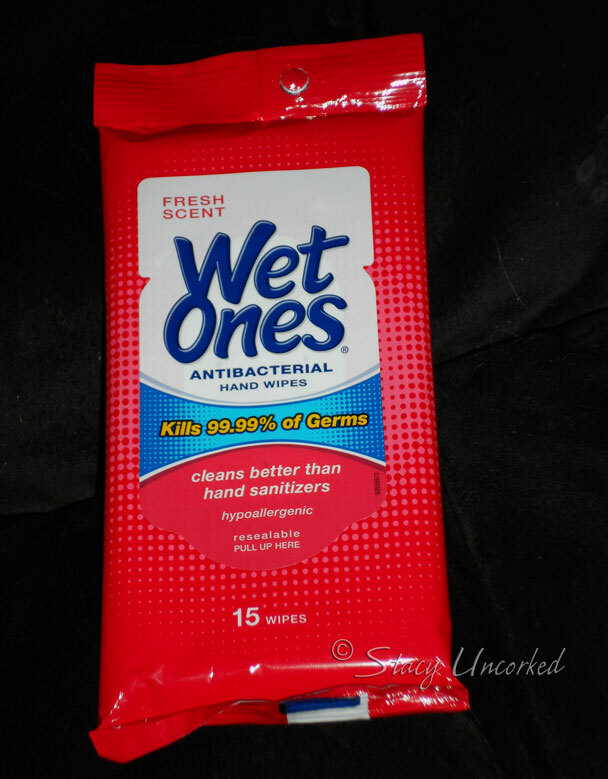 Wet Ones Hand Wipes are a convenient and effective way to prevent the spread of bacteria. I always have Wet Ones on hand – in fact, I usually buy them in bulk to make sure I never run out. Not only do I use them to clean up grimy little fingers, but I also use them to wipe down the counter tops in the kitchen to make sure there is no residual bacteria lying in wait. 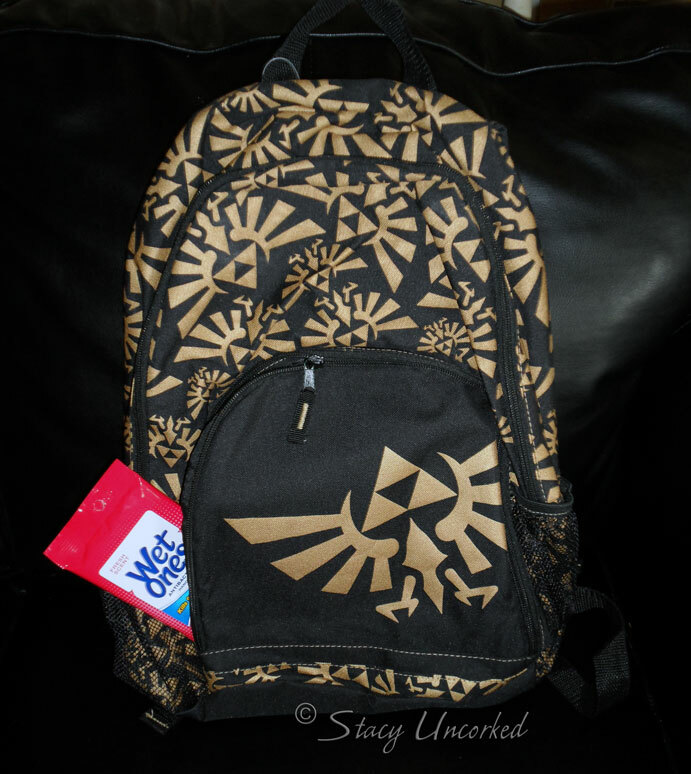 All you Legend of Zelda fans will recognize Princess Nagger’s new backpack. I picked it up at the Nintendo Store in New York – pretty cool, no? I was dubbed “Best Mom In The World” by Princess Nagger when I brought it home. I’m sure that title has since been retracted, but I enjoyed it while it lasted. Hypoallergenic and enriched with skin conditioning aloe, they are also gentle on skin. Are you 99.99% germ free? I wrote this review while participating in a blog tour by Mom Central Consulting on behalf of Wet Ones. I received a product sample to facilitate my review and a promotional item to thank me for taking the time to participate. All opinions are mine and not influenced by outside sources. See my Disclosure Policy here. This entry was posted in Review and tagged backpack, bacteria, citrus scent, counter tops, germ, hand sanitizers, hand wipes, little fingers, little hands, messes, nasty cold, recess, Review, travel pack, travel packs, wet ones by Stacy (the Random Cool Chick). Bookmark the permalink. I have them in the car. I think the moment I pick them up, I need to have them wipe their germs off before we can get home to wash properly. I hope the princess will miss most of the sickies. I love Wet Ones. I have them everywhere!